Technology has advanced to the point where you can now accept credit card swipes directly on your mobile phone. This requires a very small piece of hardware that attaches to your phone and runs using an app that you download to your smartphone. Accepting credit cards using your mobile phone is perfect for companies with service or sales employees out in the field who need to be able to accept credit card payments. Accepting credit and debit cards in the field can decrease your accounts receivable by removing the need to extend “net” terms to customers who used to pay in 30 or 45 days upon receiving an invoice. By offering more payment terms at the time of sale or service can drastically increase the amount of revenue you have in hand at any given time. When you take into account the attrition percentage of customers who default on net payment terms, getting paid at the time of service or sale can mean better overall profitability. If you sell your products or services on the road, you know all too well that a majority of the public does not carry cash anymore, and sending them to the closest ATM can be cumbersome. Unfortunately, this can be a major roadblock to the success of your business; unless of course you find a solution that benefits your business as well as your customers. Whether you’re a trade show exhibitor, an electrician, or a massage therapist, you want to provide your customers with an easy, secure way to pay for your products and services while on the go — and we don’t mean those heavy credit card machines of the past. We mean mobile payment processing. Charge.com is proud to offer a revolutionary mobile credit card processing solution that allows merchants to process credit cards using their cell phones or smartphones, including the iPhone, iPad, Blackberry, and Android. In fact, nearly every type of cell phone is compatible with our software. Merchants who accept credit cards using a mobile phone are providing their customers with a faster, less burdensome payment solution compared to the preceding machines that were bulky and came with slips of paper. 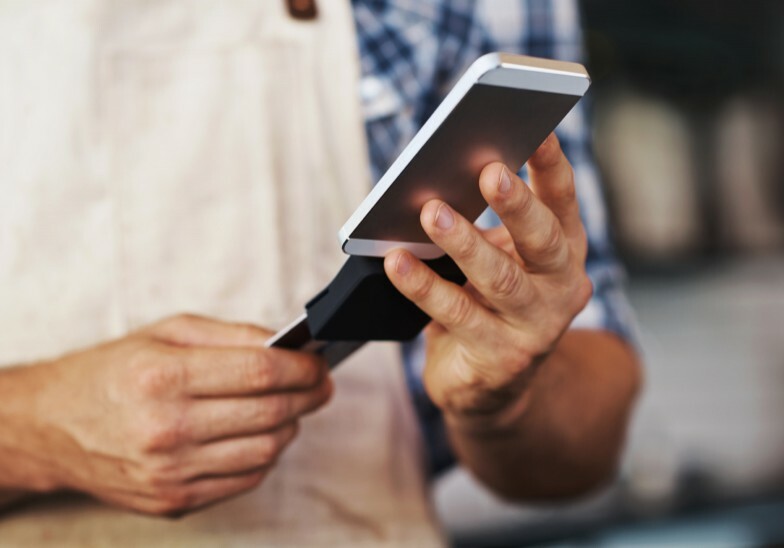 Our mobile credit card processing solution is also convenient for the business owner. Light, convenient, and portable, mobile credit card processing is ideal for all types of mobile merchants. It’s also easy to use and merchants receive credit card approvals in seconds. When taking your business on the road, don’t forget to travel light. Who accepts credit cards using a mobile phone? Charge.com offers advanced mobile payment hardware for its merchants and provides the best possible customer service to resolve any issues with your hardware. To start accepting credit cards using a mobile phone, you will need a merchant services account that can be set up in less than 24 hours. To get started, fill out the form to the right and you will be accepting credit card orders on your mobile phone in a matter of days! Description: Accept credit cards using a mobile phone to streamline payment processes for your small business. Reduce loss and improve customer satisfaction using Charge.com mobile payment solutions.